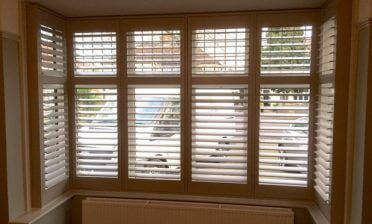 A customer in Gillingham, Kent approached us looking to have shutters installed to a large bedroom window in her property. 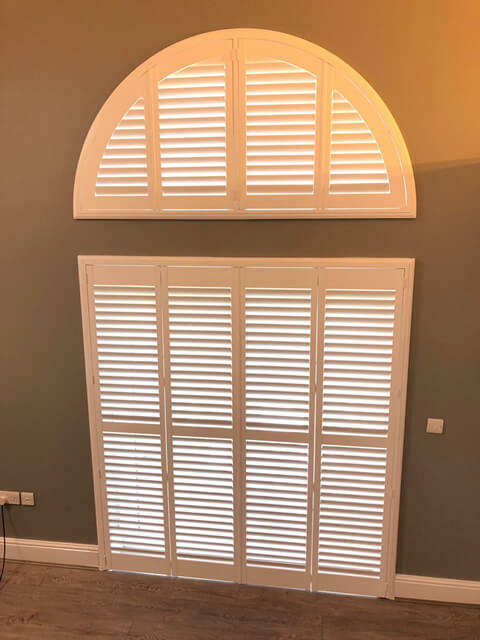 The window area itself also featured a separate arch shaped section above which would require our special shape shutters, hand crafted and made to measure to fit the exact shape of the arch. 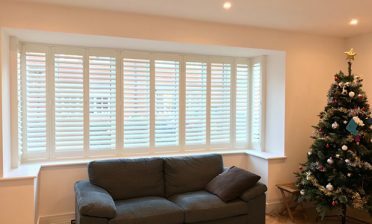 With a window of this height starting at floor level, it was important to the client that she had some of our shutters fitted, gaining the best out of privacy and lighting to the bedroom. Using mid rails in the full height installation allowed for not only strength but extra adjustment and flexibility for the client. For example she can keep the bottom half closed with the top panels adjusted or open to allow light streaming in. With the combination of the arched section at the top she can also leave both bottom panels closed with the special shape arch open! Using our bespoke design service we are able to completely match the top and bottom sections even though the sizing and shaping is completely different. These shutters were made from our Fiji range in full height style, finished in pure white to match her doors and skirting throughout the home. 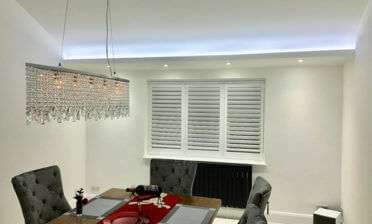 The 63mm louvres were specifically picked to let just the right amount of light into the bedroom, with a hidden tilt rod system to create a more modern design, but also allowing the client to still easily adjust the panels without need of tilt rods. We used beaded stiles in the installation which also brought a touch of tradition to the look. Our customer was blown away by the work carried out by one of our installers Ben!